Hi everybody, thanks for visiting and thanks for all the lovely comments that you leave here. I hope you are all having a great week. I guess most of you will be busy with your Halloween preparations and enjoying the beautiful colors of the season. I have been sketching a lot lately and crocheting less. Except for these Christmas trees, I haven't done anything much. If you are a regular reader of my blog you might remember the Christmas tree that I made few years ago here. It was a free pattern that I found on net but the link doesn't work anymore. I searched but couldn't find the pattern anywhere else on the internet. I don't even have that tree now to figure out how it was made. So this year I decided to create one myself. I didn't have much difficulty in coming up with the pattern. I used the technique that we use to create ruffles by working into one loop only. 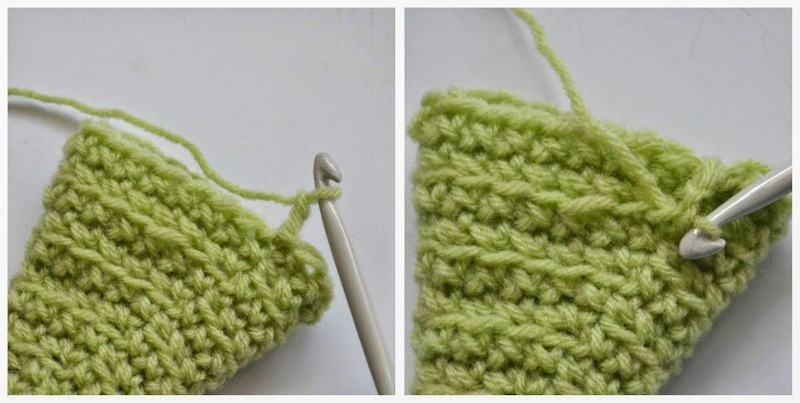 I think anyone with a little knowledge of basic crochet stitches would be able to do it. 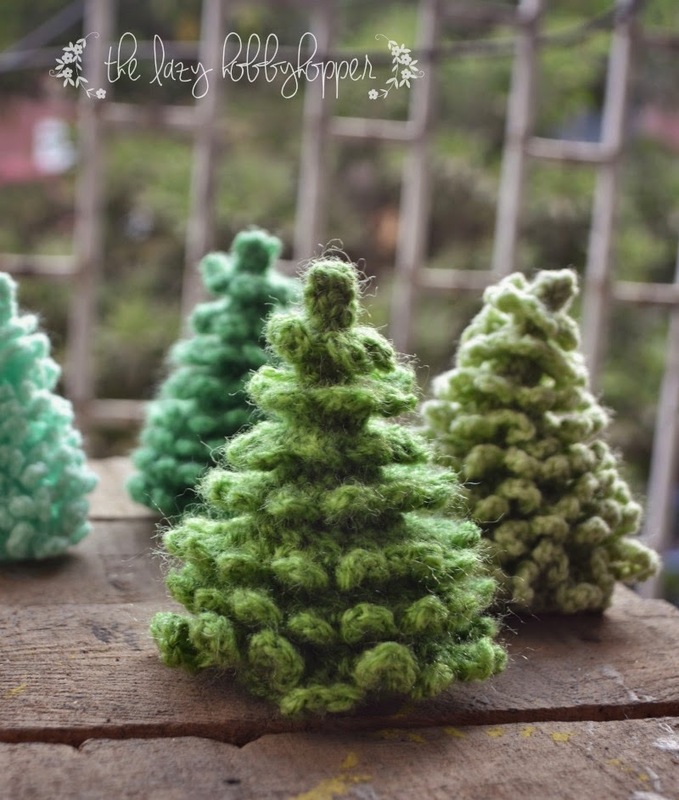 A small ball of yarn is enough to make a tree. 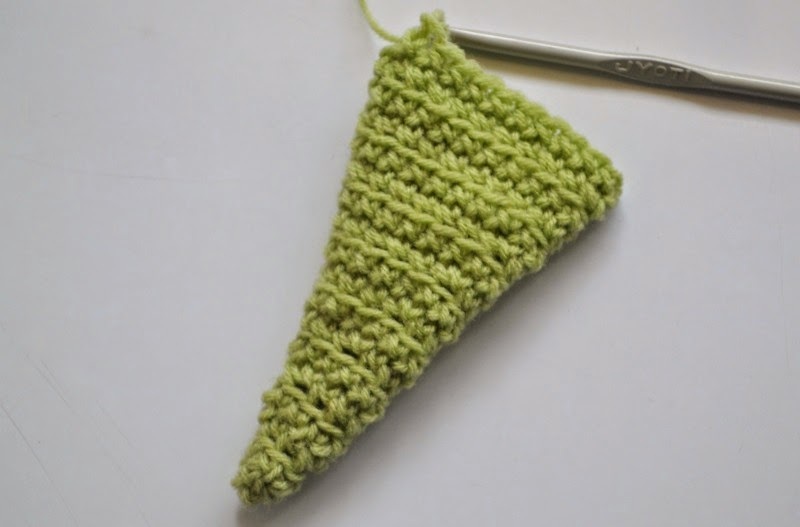 I used size G/4.00 mm crochet hook and DK/light worsted weight yarns which will make a tree that is about 3.5 inches high. There are no fancy stitches. 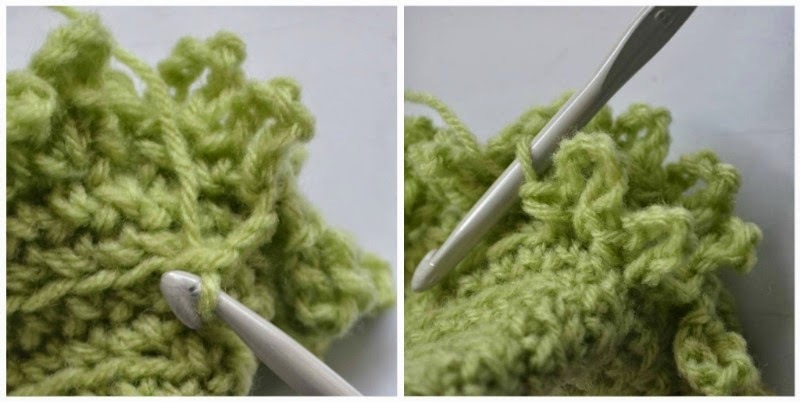 I have used only single crochet (sc) stitch (American) which is known as double crochet (dc) in British terminology. Look at the image below. The loop that is closer to you is the front loop and the loop that is farther away from you is the back loop. Starting from round 4 every other round which is the increasing round will be worked into back loops only. In the above image you can see the free front loops. Round 19: Sc in each sc (22 sc). Join with a slip stitch to next sc. Do not break the yarn but continue working the branches of the tree. This is how your tree will look at this stage. Ch 3, join this with a slip stitch to the front loop of 1st st in round 18. In the front loop of each of the 22 stitches you will be making [sc, ch 6, sc]. 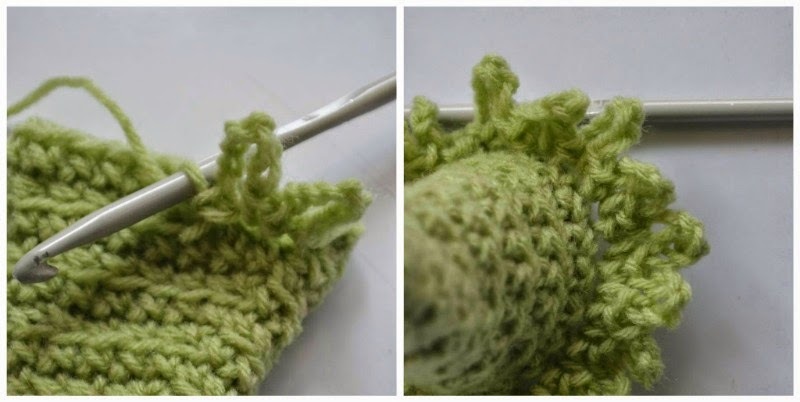 When you have completed the round join with a slip stitch to the 1st stitch of the round. 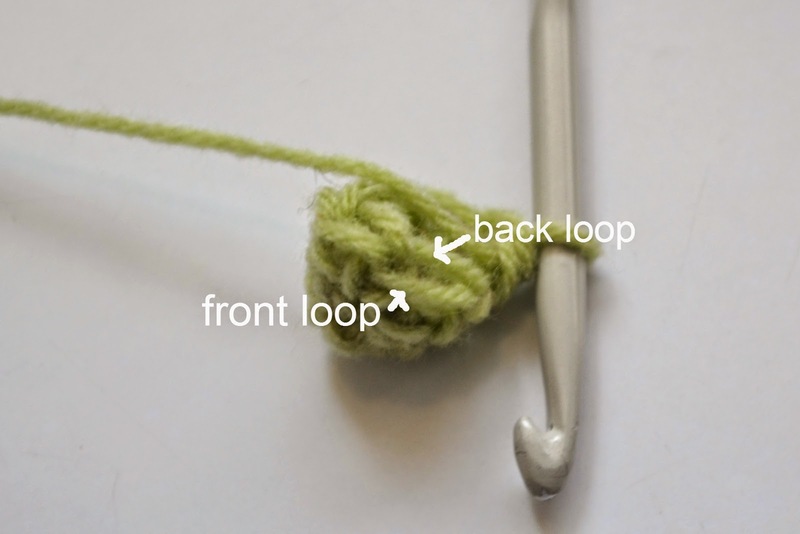 Again ch 3 and join with a slip stitch to the front loop of 1st stitch of the previous back loop round which is round 16. Repeat what you did in round 18. Similarly when round 16 is complete go to round 14. In rounds 14 and 12 you will make the loops with 5 chains, i.e., [sc, ch 5, sc] in the front loops of each stitch. In rounds 10 and 8, make loops with 4 chains. In round 6 make 3 chain loops and in round 4 make loops with 2 chains. Now you have a cute little Christmas tree. Decorate it as you wish. They don't need any stuffing but you may do so if you wish. Cut out a small circle of felt to fit the base of the tree and after stuffing you can sew the circle to the base but this is optional, I didn't do it. I hope you enjoy making this Christmas tree. If you come across any errors (I don't think there will be any), please do let me know so that I can correct them. Won't they make lovely Christmas gifts? They look beautiful with the beads :) thanks for sharing! Very cute. Can't wait to make a whole forest of them. Thank you so much Pradeepa for sharing the pattern... They are gorgeous.. They look so nice. I think, they will take the way to Germany. Thanks a lot for the pattern. oh thank you so much !!! I love the idea and it seems so easy to make .... thanks ! Have a lovely week end ! Oh! 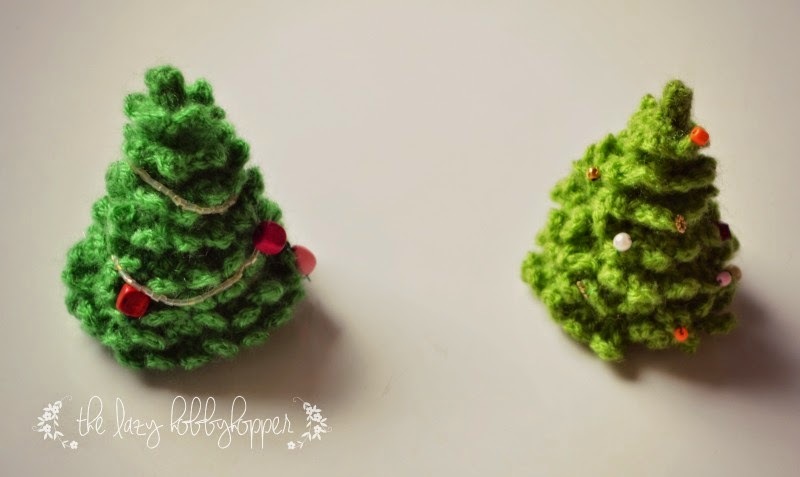 These christmas trees are so cute - thanks heaps for the pattern! I have soo many projects for this year but I will save it for next year. Thank you for a very cute pattern! I think I found a tiny, tiny error... ;0) Round 13 should be 16 sc not 14. What a wonderful pattern, will be definitely having a go at it later. Thanks for sharing. Hi Pradeepa!Your sweet Christmas trees are absolutely adorable!!! Thank so much for sharing great tutorial! Thank you for this - i have already made one and instructions were really simple to follow. Will be making more! These trees are so darling I'm going to try the pattern out today. Found the pattern that was on Michael's site for a period of time. Its on this site now. And the pattern from the lazy hooby hopper is so much fun to crochet! I really enjoyed it. Made 4 and more is on the way. OMG they are soo cute . the tress are wonderful!! Will make them as Christmas special :-) Very cute. how cute is this? ?i must give it a try...will let you know.Thanks for your kindness! I'd love to include your fabulous Christmas Tree pattern. 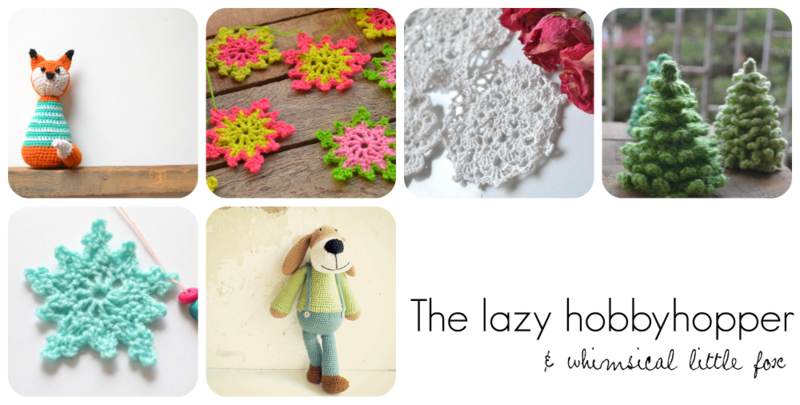 Please let me know if you'd be happy to have your pattern included in this eMag. Wow! Sure, I'd be very happy! Thank you for this lovely pattern! These christmas trees are really fun to make, I hope it's ok for you that I included a link to your pattern in my blog? I love these trees!! I've already made several and they are great! Thank you so much for sharing! Me encanta!! !muchas gracias por compartir! Hi You have some great looking craft here. Love them. I'd would like to know if you have finished the blanket you were doing in ripple. The page I was on it was a WIP. Love the look of the fox at the top of the page. Is that a free pattern and where can I find it. I wasn't sure how to put things on this and don't know the terms nor have a google address. 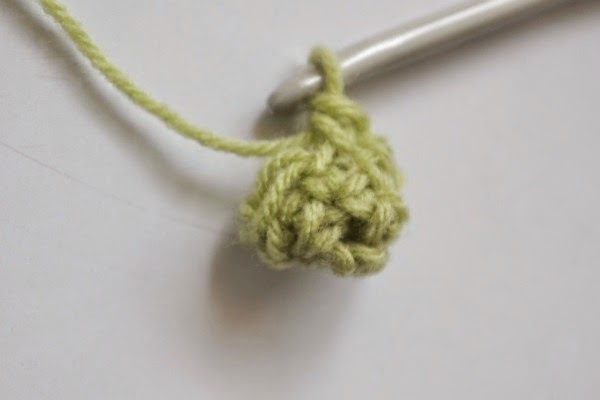 Hope to here from you on your site, from Crochetnutter Thanks. Thanks! I didn't do a blanket. I made a cushion cover which you can find at http://thelazyhobbyhopper.blogspot.in/2011/08/vibrant-cushion-3.html. It was a tutorial for the stitch pattern. The pattern for the fox is not free and it can be found in my Etsy shop Whimsical Little Fox. You can find the link to the shop at the side bar. What a lovely pattern! 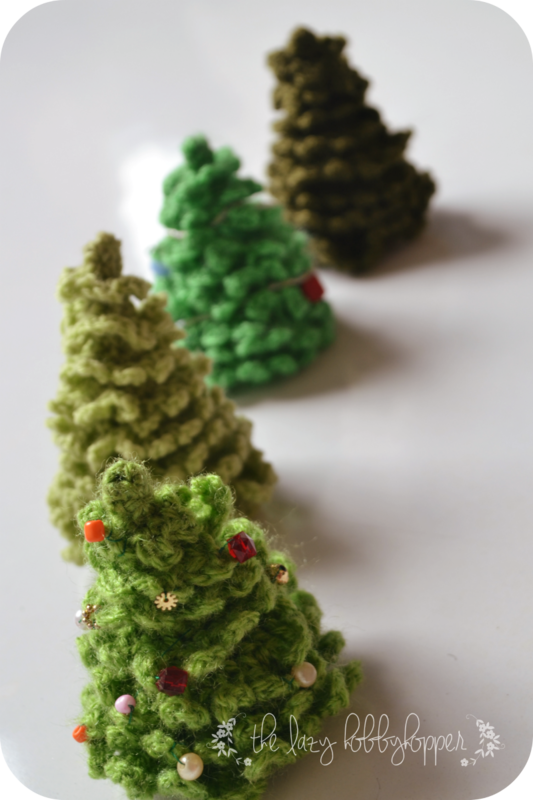 I am making an 'ice and snow' felt play mat for my granddaughter for Christmas and these little trees - made slightly taller- will be perfect additions. I'm on the first one now. 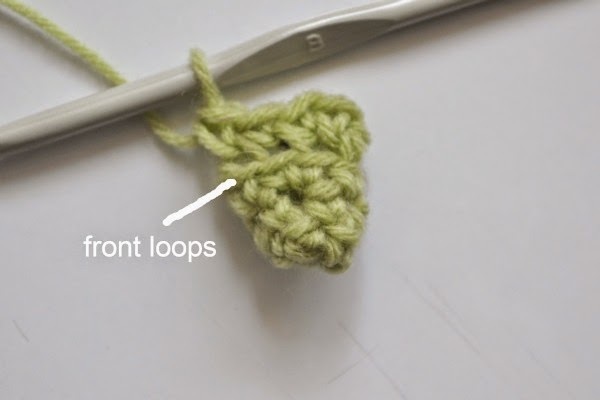 I'm by no means an expert at crochet but your tutorial is simple to follow. Thank you so much. Hello Pradeepa, thank you so much for the lovely Christmas Tree pattern! So glad with it! Started the tree, easy so far! On to the ruffles/branches, I put a Styrofoam cone inside. I've just posted a your christmas pattern in Japanese on my blog. 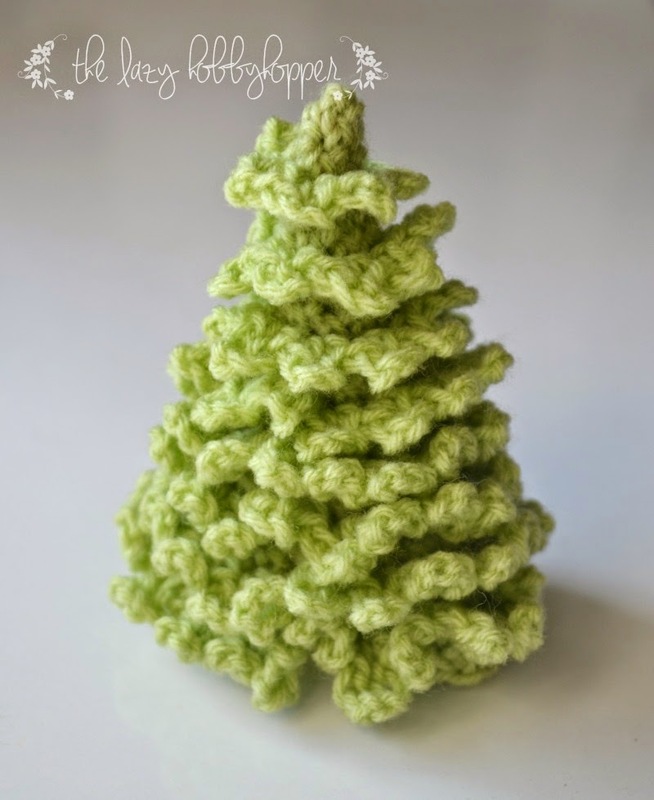 I don't know how to crochet, but I'm going to try and make one of your trees. They are too cute to pass up. 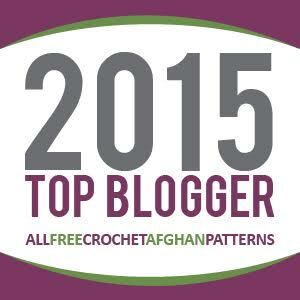 Thanks so much for your generosity in sharing your pattern. Happy holidays! Hi ! 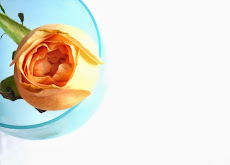 I just discovered your blog, great job ! This website is very usefull when some precious web pages are deleted ! My name is Frances and I would like to know how to save your blog? I'm 62 years old and I have to go to a friend or where I got my cell phone to have someone show me how to save this stuff. I can give you my email address if you can help me.I know if I leave this site I'll lose it. Please get back in touch with me I love your items a lot. The Christmas treees are beautiful. These Christmas trees are so gorgeous!! Made them in sparkly green and white and are so lovely! Thank you for the pattern! Super cute, will be making my own forest soon.